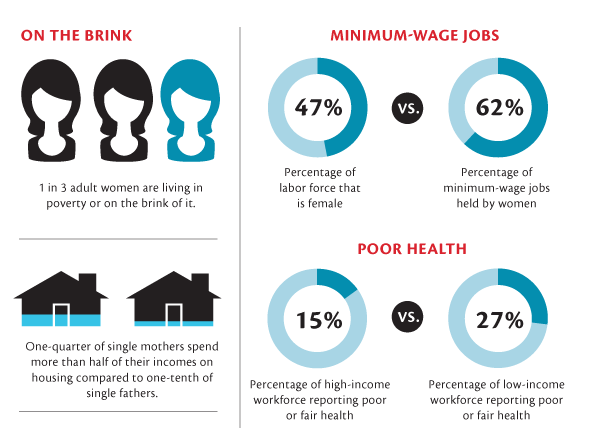 In a new investigative report, The Shriver Report: A Woman’s Nation Pushes Back from the Brink, the Center for American Progress and Maria Shriver look at the impact of poverty on women and the impact this poverty has on our economy, and society, in general. You can download the entire multi-media report (including the essay from Beyoncé that Maya cited yesterday) here until January 15th. And check out the “How Far We’ve Come and How Far We Need to Go“ infographic below the jump.